The main purpose of the visit was to watch cricket, Kent v Hampshire, in which my team Kent suffered a heavy defeat. I stayed in a B&B in the street called Wincheap. That’s a name the origins of which are lost in the mists of time, although the old English word ‘cheap’ means ‘a market’ so it’s highly likely some kind of market would have been held there, On the street are two of Canterbury’s oldest inns, dating back to the 15th Century. Below the King’s Head, established in 1410 and noted as Canterbury’s oldest inn. The Maiden’s Head is a little younger, dating from 1446. There would undoubtedly have been many more until recent times. When the city gates were closed at night, travellers would be obliged to seek lodging in these inns until the gates opened in the morning. Similar inns can be found on the other roads leading into the city. Wincheap also has many other old buildings still standing. These are just a few. In contrast, Canterbury East railway station is very youthful, having been opened in 1860. The building is mostly the original. The station has around 1 million passengers each year. Nearby and once more originally built in Roman times and rebuilt during the 14th century is a long section of the city wall with one of the watchtowers. Traditional market stalls with colourful displays of locally grown fruit and vegetables can still be found in the city centre. And finally scenes during the ‘half time’ interval on the cricket match. By that time it was starting to turn very cold, not like the weather we have enjoyed since! 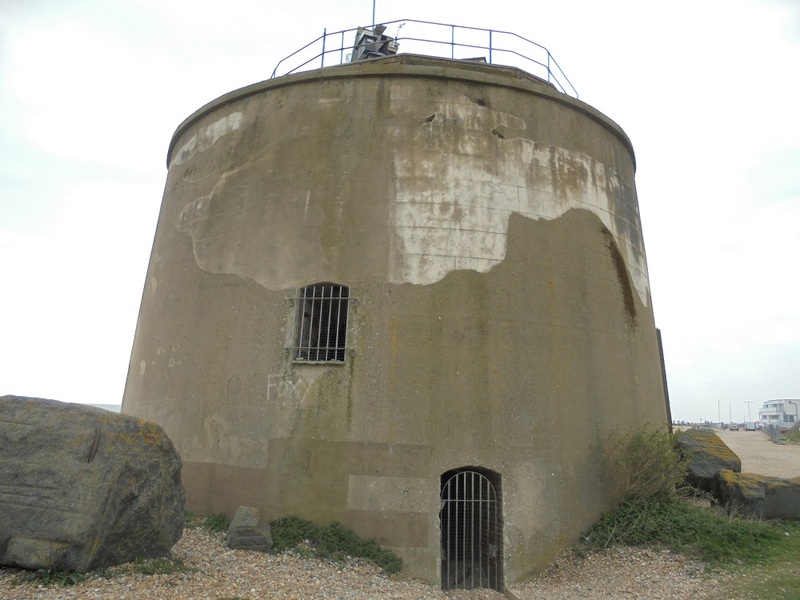 One of the Martello towers built over 200 years ago to deter an invasion by the French. They had use later in both World Wars but most are derelict these days. I had heard of albino white squirrels but until yesterday had never seen one. This one was skittering about all over the place, but eventually remained still long enough for me to grab this picture. Several of its grey cousins were around. They are so used to humans that they approach visitors, holding out their paws. This one was soon devouring its reward. Pictures taken in Gildredge Park in Eastbourne, Sussex. It was a sunny February day, about 9ºC. After that, the Lamb Inn which dates from the year 1180 although obviously this is not the original building! Just along the road is the parish church of Eastbourne, St Mary the Virgin, parts of which date from the late 12th century. Some more Eastbourne. The area to the west of the town centre has the more agreeable suburbs that grew in the late 19th and early 20th centuries. 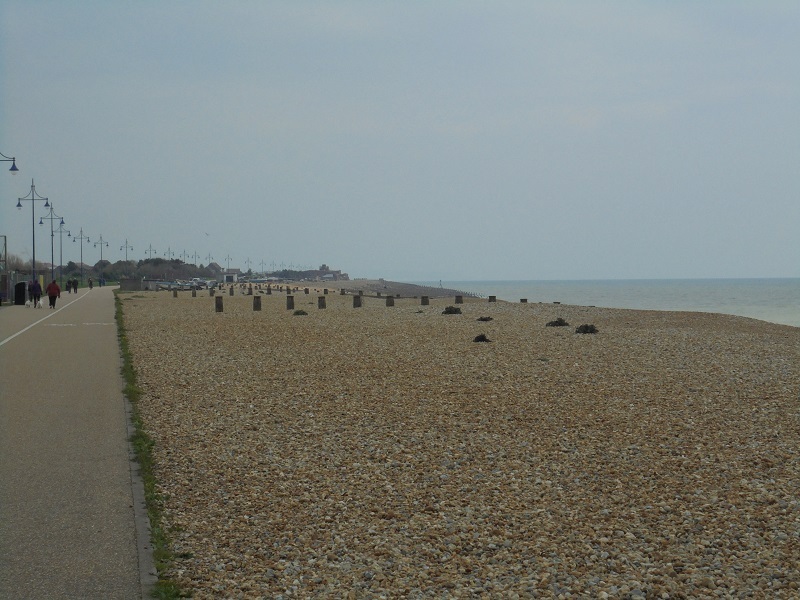 Part of the town history says that during that time the townspeople lobbied the railway company not to have cheap fares to Eastbourne so as to deter the low classes from coming down. Also west of the town is the Royal Eastbourne golf course, founded in 1887. Parts of the course offer fine views over the town. The old and the new side by side. Having taken this picture, I cannot figure out which church this on the skyline! The seafront and pier were busy with people enjoying the very pleasant afternoon sunshine. The early finish to the cricket match (my team lost big time!) gave me a spare day so I decided to visit the Severn Valley Railway at Kidderminster. I last saw this operation about 35 years ago! The preserved mainly steam operated line runs for 16 miles (26km) between Kidderminster and Bridgnorth. The route is mostly along the Severn Valley, but you don’t get to see much of the river at times. Nowadays the area is very rural but until 40 or 50 years ago there were coalmines and brickworks. The final section of the original line closed in 1970. In that same year the first preserved section opened, with the complete route being in service from 1984. I was also able to spend an afternoon in the very neat town of Bridgnorth. The town is in two parts, High Town and Low Town, connected by some very steep hills and a slightly eccentric funicular railway. Bridgnorth has a very acceptable number of pubs including the Railwaymen’s Arms inside the station buildings. If you have the opportunity, take a ride on the railway and visit the pubs! It’s easy to get to from Birmingham adn many other places. The SVR station at Kidderminster is next to the national rail station. My pictures of the railway and Bridgnorth here. On Sunday last week I took quick trip from Birmingham to Wolverhampton on the West Midlands metro light rail. I was hoping to see some scenery but bad idea. The track runs in cuttings much of the way so most of what I saw was trees. 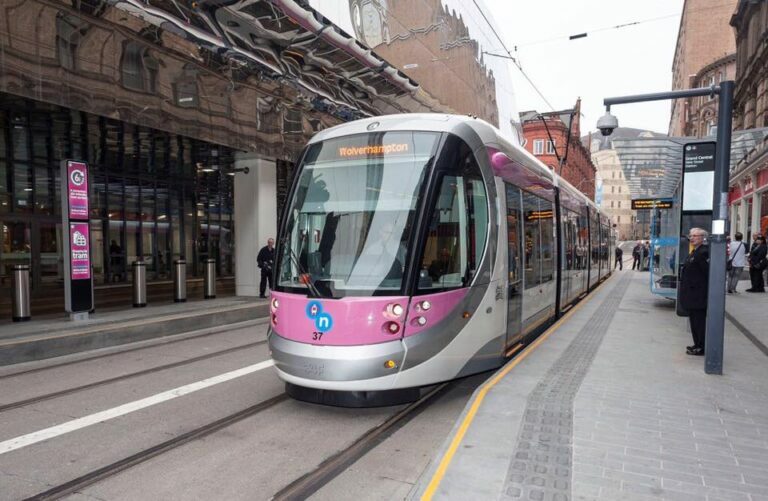 The West Midlands metro is the only light rail or tram I have been on that does not have ticket machines at the stops. If you don’t have a pass or can´t use ‘tap and pay’ on your bank card, you buy a ticket from a conductor on board. Just we did on buses maybe 30 or 40 years ago. Amid Wolverhampton’s nightmare of ring roads and modernity there are some bits worth seeing. There are some decent pubs in the centre and I was pleased to find Enville ales on sale at one and a decent pint of Marston’s 61 for just £2,90 at another. Not something I expected to see yesterday evening! For anyone who knows the city, this is Holloway Circus. More Birmingham pictures via the link below this picture. A nearby street is called Horsefair, so perhaps this is appropriate. That scene is at Holloway Circus almost in the middle of the city. Below is a typical skyline, old and new close together but in Birmingham, new wins all the time! A few more pictures, including some of the cricket, here. Spent the day in Ramsgate last Friday, met up with some old friends who now live there. Before we embarked on an epic beer session, I had time to take a walk around. Ramsgate has not had much luck in recent years, with the closure of the ferries and nearby airport, but my impression was that it is on the up. With London now only 1hr 15 minutes away on the high speed trains, it’s easily possible to live here and travel to London for work purposes. Perhaps not every day, because of the cost, but it’s no longer the 2 hour slog it used to be . Certainly was busy enough on a Friday, fewer shops empty or boarded up than I remember from my previous visits. The harbour area has a lot of new places to go to, including the massive Royal Victoria Pavilion, restored at huge cost and now a very large pub / restaurant with a balcony overlooking the beach. Elegant houses sit above the harbour. Karl Marx lived in one of them for a short time. Bet you didn’t know that! If you are in Ramsgate, I can recommend the Hovelling Boat pub in York Street, near the harbour. It’s one of the new old breed of pub which has no bar. You go in, to what seems like someone’s house, study the ‘menu’ and ask for what you want. You may have to ask some questions as the beers and ciders may not be familiar! They don’t sell lager or spirits, just beer, cider and wine. Check opening times on their website http://hovellingboatinn.co.uk/ as they don’t stay open late during the week and are closed on Sunday nights.